La Gomera is known as the “Quiet Canary” due to its calm and pristine natural state. It doesn’t mean there’s no action happening though. In fact, there are lots. Most especially in Alajeró, one of the island’s six municipalities. It is a mind-blowing hiking destination with an exceptional network of trails and vistas. There are also plenty of enthralling places to visit and leisure activities to enjoy. The municipality of Alajeró is part of the ancient Guanche territories of Hipalán and Orone. Although there is not much written about its history, it’s colorful heritage is evident with the old churches and festivities still held to this very day. 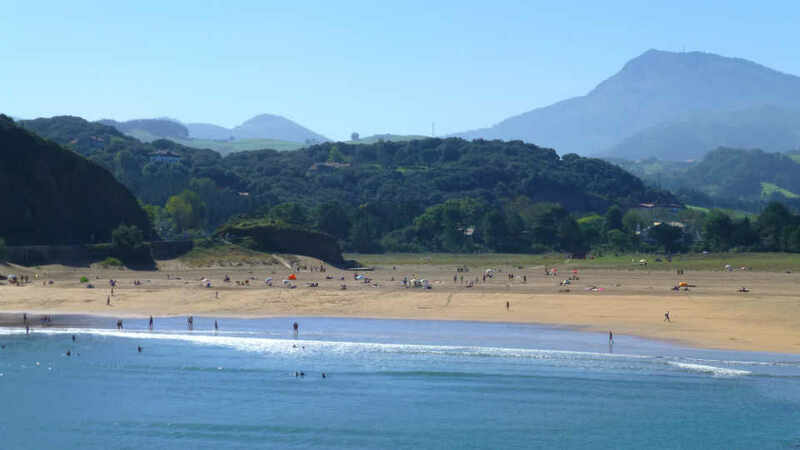 Playa de Santiago, on its coast, is a town that has been fascinating people for a long time. It continues to captivate tourists the way it did with the fishermen who founded it centuries ago. Blessed by gorgeous weather and natural beauties, the once idyllic village became a hub for canneries and ship repair facilities in early 20th century. And, in more recent years, it has become La Gomera’s top tourist attraction alongside the Garajonay National Park. Located on the south coast of La Gomera, Alajeró is a serene municipality with lush palm trees and all-year-round sun. Footpaths in its mountains and hills lead to untouched spectacles and quaint villages. Although it has fewer tourists compared to other islands in the Canaries, it is in no way less marvelous. In fact, the cliffs surrounding its coastline, Antilados de Alajeró, is both a national park and a site of scientific interest. Alajeró has a chain of well-marked trails crisscrossing its diverse landscape. These routes introduce tourists to the many facets of a pristine Canarian island. Some tracks go through rainforests and grassy slopes. Others pass by goats and herds of sheep grazing the terraced fields. There are also paths to quaint villages with stone houses where time seemed to have stopped. Whichever trail, every step taken immerses one with nature and striking panoramas. The most popular walking route in the municipality of Alajeró takes guests to one of the most astonishing sights in the world. A leisurely 20-minute walk from the main road in the outskirt of the town leads to the Drago de Agalan. The dragon tree, standing tall and proud even after 400 years, is the symbol of La Gomera. It is not only the oldest but also the largest of its kind in the island. A stony path yet an easy trail to Tagaragunche from Alajeró is another favorite of hikers. At its peak is the hermitage of San Isidro. Small and unassuming, the church houses the image of San Isidro Labrador and one of the Virgin of the Carmen. It also offers an exquisite panorama of the southern coast of La Gomera. Only a 3-kilometer hike along the mountainside, the trail to Ermita del Buen Paso is anything but ordinary. The small church houses the image of Our Lady of Buen Paso. Each year, during mid-September, it also holds one of the most popular festivals on the island. Visiting during the festivities in honor of the patron saint is the best way to get to know the people, culture, and tradition. Apart from the festival, the idyllic spot is also a mirador with a magnificent view of the southern coast. Nestled in the heart of the town is the parish church of Salvador del Mundo. The remarkable church, built in 1512, has a stone brick facade and whitewashed sides surrounded by Laurel trees. It also houses a 17th-century statue of Jesus Christ. Playa de Santiago is one of the most popular tourist attractions of La Gomera. Sun-loving globetrotters love the touristy yet still slow-paced, small-town vibe. Also, the plethora of restaurants and accommodations available makes for a convenient and comfortable stay. Protected from the surf by the jetty, calm water surrounding the shore is clean and safe for dipping and swimming. On its coast, visitors take a leisurely walk as well as soak in the sights on the promenade. Playa de Santiago is the epitome of a laid-back oceanfront paradise with endless fun and amusement. Dolphin and whale-watching, kayaking, snorkeling, and diving are among the favorite activities here. There are other beaches nearby. For instance, Playa del Medio is only an hour walk away and popular with nudists and naturists. Alajeró is a magnificent municipality with so much to offer. Spending only a day is not enough. Hence, the best way to see and experience its beauty is to stay for a few days. Feel at home and basked in the warmth and hospitality that is unique to this magnificent town and municipality. A world-class property right on the beachfront, Hotel Jardin Tecina is only a minute walk from the clear waters of the Atlantic. Adding to the vibrant environment of the hotel are its colorful and lush gardens. Besides having a private terrace and hot tub in each room, there is also an outdoor pool. The hotel also has a fitness center for guests to keep in shape. Other amenities include squash, mini golf, and tennis in the property. A holiday rental with an impressive view of the Atlantic and the mountains is irresistible. El Drago Rural House, situated in the highlands, is a two-bedroom house with traditional Canarian architecture. The fully air-conditioned unit comes with a kitchen and other amenities. Because of its location and the scenic landscape, this country house is the perfect home for couples. People visit Alajeró because of the natural wonders. Hence, some prefer to stay in a simple bed and breakfast hotel. Pensión La Gaviota stands out because of its amenities and convenient access to several bars and restaurants in its vicinity. All rooms in the pension house come with free WiFi. Furthermore, there are different types of rooms to choose from such as having a balcony and private shower. Feel at home in one of the villas in the exclusive residential village of Santa Ana. Villas Parque Mirador offers modern living while preserving the traditions of the island. Each unit comes with a terrace, a fully-equipped kitchen with dishwasher, and a full bath. A few of the more spacious homes also have a seating and dining area. For convenience getting around, car hire is also available. There are many restaurants in Alajeró, of which the most diverse, and a good number of them, are in Playa de Santiago. Some serve international cuisines, but the most commonly offered dishes are Canarian, Spanish, and Mediterranean. When it comes to food choices, seafood dishes reign supreme and are always fresh. The best steakhouse in Alajeró is barely 15 minutes away from Playa de Santiago. El Meson de Clemente, situated on a hilltop, not only serve delightful food but they also provide excellent service. In fact, they go as far as sending a taxi to fetch from and bring back guests to their hotels, for free. They are open daily, except Wednesday, from 10:00 AM to 11:00 PM. All the food served at El Meson de Clemente is divine. The charcoal grilled steak, though, is the clear favorite. Other must-tries include barbecued lamb cutlets, prawns or steak in Roquefort sauce, grilled goat, local cheese, and pumpkin chutney. They also have a good list of wines for pairing with the grilled dishes. For the finale, try their chocolate mousse pudding. For bread, pastries, and sweet delights, Lelo Restaurant is the place to go. It’s so popular with both locals and tourists that people start lining up before it opens so they can have breakfast. Recently too, they added a couple of seats outside. All their cakes and pastries are to die for, but the most popular ones are portugusi tart, pastel de nata, lemon meringue pies, and pasteis de belem. The coffee they serve is also excellent. Hotel Jardin Tecina is the only hotel in Alajeró. Not only do they have great rooms and facilities, but they also have an excellent restaurant. Club Laurel offers European cuisine with Norwegian influence. So, expect a twist especially with the traditional dishes they serve. The menu and wine list in this open-air roofed veranda restaurant are extensive. Thus, diners’ are sure to find something that suits their taste. Furthermore, guests can have their orders cooked to preference to guarantee satisfaction. Some of their famous dishes are the langoustine salad, foie gras on bread, chicken soup with mushroom ravioli, local pork tenderloin, steaks, and pizzas. For dessert, try any of their ice creams, gateaux, and parfaits. The best seafood restaurant in the whole of La Gomera is in Alajeró. Junonia in Playa de Santiago serves the fresh catches of the day cooked to perfection. Any dish they have on the menu is a must try, that is how good the food is here. For a little variety, they also have a few sumptuous meat alternatives. Even at times when guests cannot decide on which dish to order, Junonia offer samples of their fresh seafood to help customers choose. Superb food, great wine, warm service, and first-class dining, these are the promises of Junonia Restaurant. Most guests arrive at the island through the port in San Sebastián de La Gomera. From the capital, take bus line 3 to Playa de Santiago then Alajeró (the town). During weekdays, the bus departs at 07.00, 10.30, 12.00, 15.30, 17.45, and 20.30. On Saturdays, it is 07.00, 10.30, 12.00, 15.30, 17.45, and 21.30. And, on Sundays and holidays, 10.30 and 21.45. For tourists flying in, the La Gomera Airport is very close to Playa de Santiago. Visitors can ride a taxi or hire a car. Bus line 7 takes travelers from the airport to San Sebastián de La Gomera. 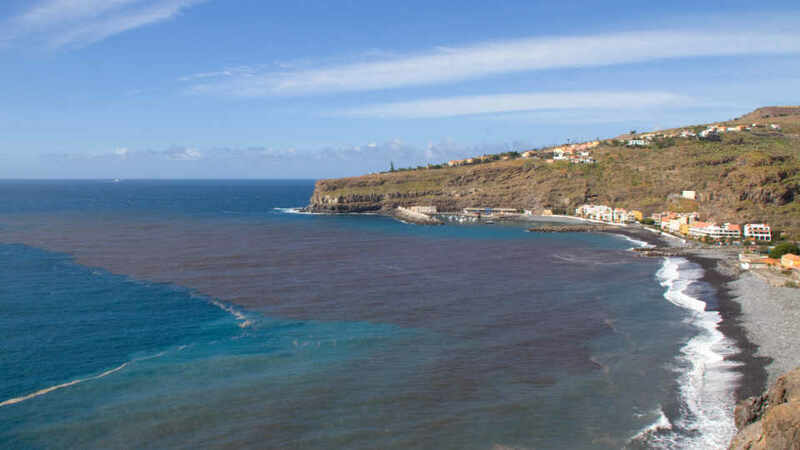 Ever wondered what brought the first waves of tourists to the Canary Islands? It wouldn’t have been the palatial hotels, artificial white sand beaches, or the whole avenue of bars and restaurants. No. Those were but additions to what was an untouched paradise. Many crave for the real Canaries. Towering massifs with softly curved slopes, instead of massive resort complexes. Stone houses and clay roofs in valleys and hamlets, not modern apartments and villas. Black volcanic sand beaches, rather than imported crushed white coral sands. Where others may feel touristy and artificial, Alajeró remains authentic. Hence, the little municipality is still the best place for an authentic Canary experience.